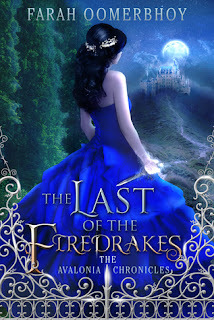 As I am partaking in ARC August I had hoped to read all my ARCs on my list, unfortunately, The Last of the Firedrakes just wasn't the right book for me at this point in time. Description:16-year-old Aurora Darlington is an orphan. Mistreated by her adopted family and bullied at school, she dreams of running away and being free. But when she is kidnapped and dragged through a portal into a magical world, suddenly her old life doesn’t seem so bad. I don't plan on giving this book a rating because I only got 35% through the book and I feel like it wouldn't be fair. Besides maybe this story does a turnaround halfway through and everything gets really sorted out. I was super excited to read this book, but I wasn't connecting to the story which in turn caused me not to feel much for the characters. Typically I can connect with some of the main characters right away, but that just wasn't happening. I found the main character to be sort of a little self pitying and kind of bratty. I have hopes that maybe as the story continues she goes through some character developments and grows a little into her role. As for the secondary characters and meant to be swoony boys, I felt nothing for them as well. I could see the potential behind the Black Wolf and see how his character could seem rather enticing, but I just wasn't feeling him. 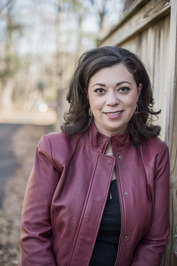 Now I do believe that I felt that way because I was not connecting with the main protagonist so I wasn't feeling her male suitors. Also what was up with that fae guy Finn? He made me mad, especially with what he had done. Another problem was that I didn't care what happened to any of the characters. Usually if I am not enjoying a story I'll stick around just to see what happens to the characters, but I couldn't do it for this book. As for the story, I see the potential. I did like the idea of two different magical bloodlines (Fae and Mages), and the idea of them sometimes being merged in a child. So I did like that. I also liked the first little fae village we get to experience. However from what I saw of the world within 30% I wasn't in love with the fantasy world that was built. I did notice the map portion at the beginning of the book, so I am assuming we do see more of the world, but for now I am content with all that I saw. Overall, the book had means to being good, and I can clearly see why someone would enjoy reading. I can even see readers swooning over some of the characters. This book just wasn't for me at this point in time. I won't say that I'll never pick it up again, but for now it's staying as a DNF. Don't let my review discourage you though, I can see people enjoying this book, and who knows, maybe you will too. Aw I'm sorry this didn't end up working for you! I think I also really wanted to read this, but now I'm not sure if I'll end up getting to it. Maybe one day you'll pick it back up?